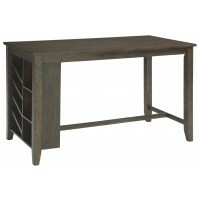 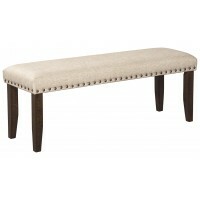 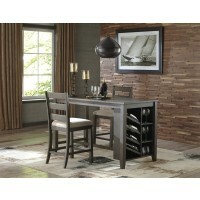 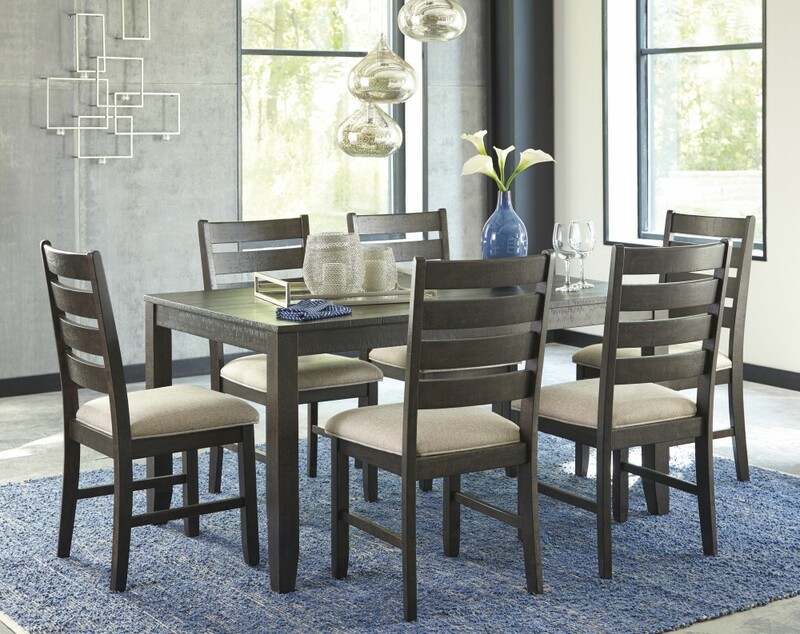 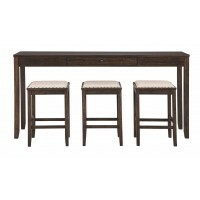 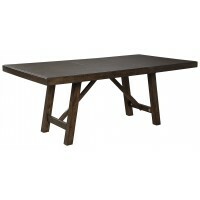 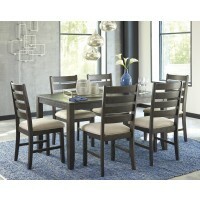 Made with Birch veneers and hardwood solids with rough-sawn plank texture and warm brown finish. 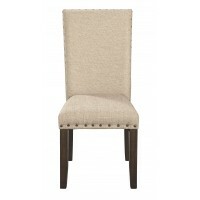 Chair seat is upholstered in a light brown textured fabric. 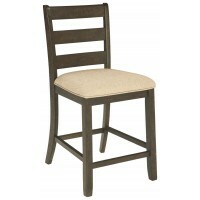 D397-425 chair dimension: 18"W x 21"D x 39"H.